In Japan, horror is a summer activity. For centuries the Japanese have flocked to exhibitions of ghost paintings, haunted houses, and the cinema in the hottest months of the year in order to experience scares and chills. They do this precisely because that chilling effect of a good horror experience provides some small relief (psychologically, at least), to the oppressive, stifling heat of the Japanese summer. Related reading: Project Zero is another very Japanese horror franchise. Matt reviews the recent Wii U title. There’s a specific aesthetic that is unique to Japanese horror, perhaps because so much of it was designed to have that specific impact on its audience. The aesthetic started in the paintings of the Edo era. 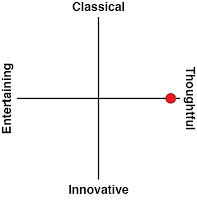 There, a distinctive style of art emerged. Called ukiyo-e, you’ve almost certainly seen examples of it in the past: that famous The Great Wave off Kanagawa painting by Hokusai is a very famous example of this style. Within that style, some artists focused on ghosts, or yūrei, and the contrast between these works, and the more naturalistic works of so many ukiyo-e, had a chilling influence on audiences. August – the month of spirits in Japan - would be the month for yūrei-ga (ga being “painting”) exhibitions, and those exhibitions were always very popular indeed. While I was in Japan this year, I went to an exhibition of Seiu Ito’s yūrei-ga. Ito is one of the more famous artists who worked with the genre, and the characteristics of yūrei-ga, from humanoid-looking spirits lacking legs to bloated bodies rising from the water, and images of humanoid-but-monstrous yokai, all highlighted a distinct aesthetic that I don’t see in other cultural interpretations of horror, or, indeed, enough modern Japanese horror works. So, when I do come across a game that represents the yūrei-ga tradition, I immediately fall in love with it. Why the art history lesson? Yomawari: Night Alone is yūrei-ga as an interactive game, both thematically and aesthetically, and that makes it really quite special. 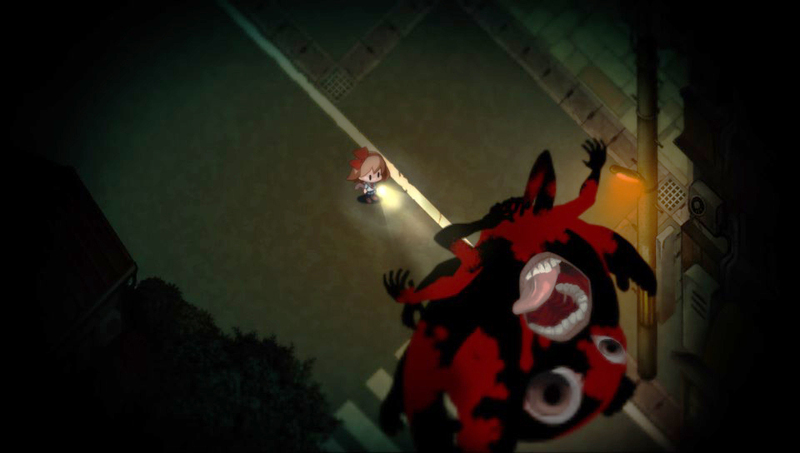 It would be easy to simply consider it in the tradition of stalker horror games, or compare it directly to Corpse Party, which is perhaps its closest cousin in gaming, but that would be ignoring the centuries of heritage that informed this game and doing the overall experience a grave injustice. Set in the summer (the tell-tale chirps of the insects setting the scene here), Yomawari doesn’t have much by way of explicit narrative, but much like the yūrei-ga, the scenario itself is enough to shock and engage. You play as a little girl, who loses her dog while walking him in the opening scene, and returns home with a lead and no pet. Our little hero’s sister, upon realising that the dog is lost, decides to go looking for him. Hours later the sister hasn’t returned, so it’s up to our little girl to go find them both. The problem is that somehow the village where she lives has now become infested with spirits that want to chase down this little girl and kill her, for no apparent reason. The girl naturally has no recourse to fight back, and instead can only flee the spirits until she finds a bush or sign to hide behind. There she cowers in fear until the spirits move on. It’s generally quite easy to escape the spirits, and once you’re in a hiding spot you’re safe; I don’t know whether I was just lucky, but unlike in other stalker horror games (Clock Tower, Haunting Ground, Corpse Party), the little girl was never “found” by a spirit once she had dived into a hiding spot. Now, I just know this is going to be a red mark against the game for many. They’ll claim Yomawari ‘lacks gameplay’ or ‘is too easy’, or whatever, but that’s missing the point. Yomawari is an exercise in atmosphere and aesthetics, and it’s masterful at that. A few years ago now, when I spoke to Keisuke Kikuchi from Koei Tecmo about Project Zero - another example of the classical Japanese horror aesthetic as applied to video games - he said that one of the sources of fear in Japanese folk horror is the “dark spaces” under floors and in the corners of Japanese homes. Traditional Japanese architecture actually leaves a lot of these pools of shadow, and that naturally ignites the imagination when it comes to telling stories of horror and mystery. 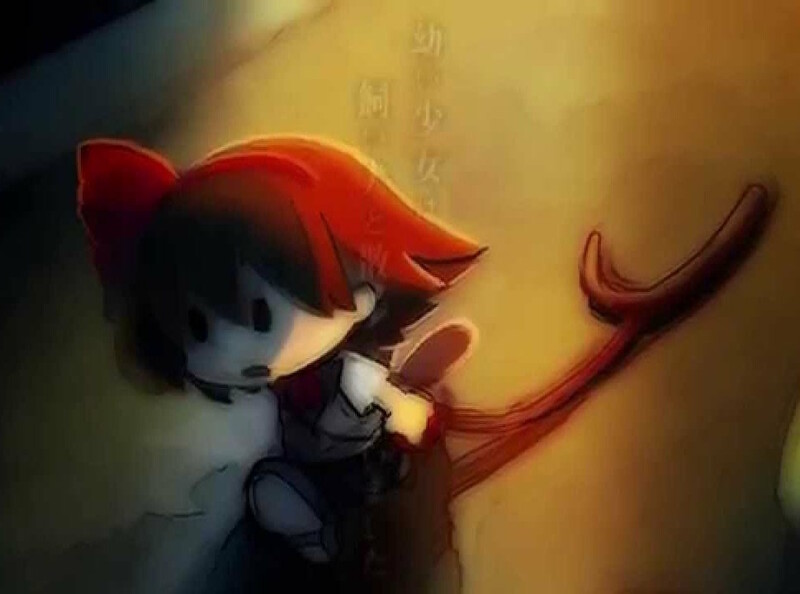 Yomawari, like Project Zero, makes that theme core to its experience. 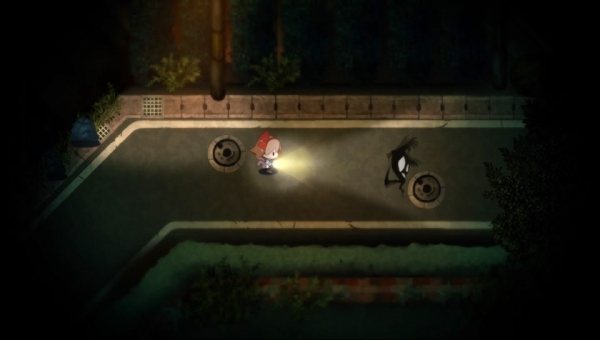 The game takes place entirely at night, and outside of a weak torch, our little girl can’t see much of anything. In place of the jump scares of most horror games is the sheer terror of taking a couple of steps in one direction only to see a hulking spirit loom up, lit up by the edge of the torchlight. 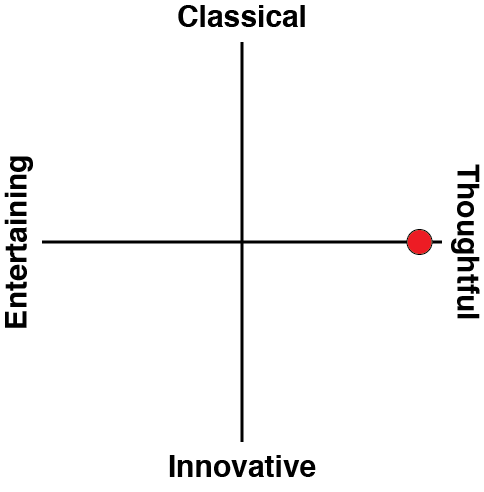 This leads to some quirks that, again, some would chalk up to be weaknesses in the ‘gameplay’, but I found to be completely thematically appropriate. A number of times I’d be directing the little girl to explore in one direction only to see her suddenly splatter into a gory mess. These weren’t bugs, I quickly realised. Rather, I’d bumped into spirits that were hidden in shadows that I was unaware of, or they’d crept up behind me. It didn’t happen frequently enough to become frustrating, but these sudden deaths made the darkness itself a persistent menace, forcing me to slow down and play the game at its own pace. Surrounded by the ambient noises of the animals, the sound of the girl’s footfalls as she walked over metal manholes or pushed through leafy bushes started to sound pitiful and weak indeed, encircled as she was by a claustrophobic, sinister blackness. The lack of shock scares and action will feel sedate to some, but that is also in keeping with Japanese horror tradition. Japanese horror features physical threats, of course, but those are set against a backdrop of sadness and tragedy; the monster isn’t the source of terror, but rather the series of events that led up to the monster is. It’s horror that plays on the mind as much as it plays for a physical reaction. Take for example most Japanese horror films; surely you’ve seen The Ring? That film, too, borrows from yūrei-ga tradition, and as terrifying as the girl who kills people through the cursed VCR tape is, her story was one of complete tragedy, and by the end of the film we are meant to empathise with the horror she experienced before being turned into a vengeful spirit. 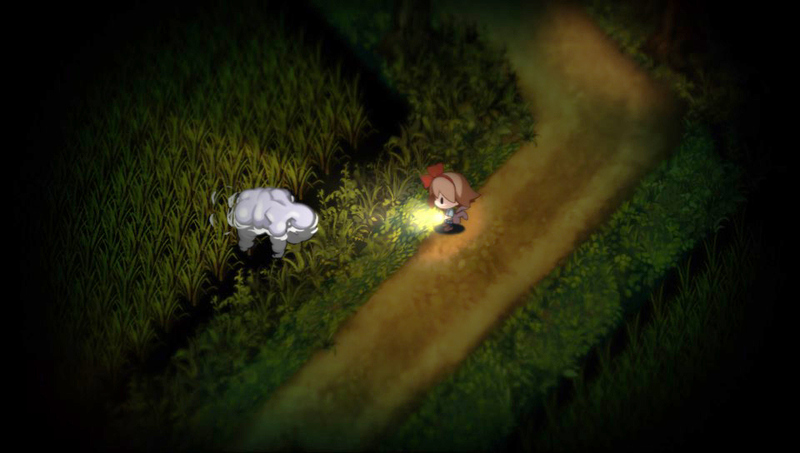 Yomawari has plenty of tragedy in itself, and without giving too much away, the girl’s search for her sister and puppy is steeped in a sadness as thick as the darkness of the night. The emotional weighting behind the narrative elevates the game substantially beyond most horror video games, which target a far more pulp-fiction approach to the genre. Related reading: For another good example of stalker horror, check out Clock Tower. Matt's in-depth look at that game's themes. 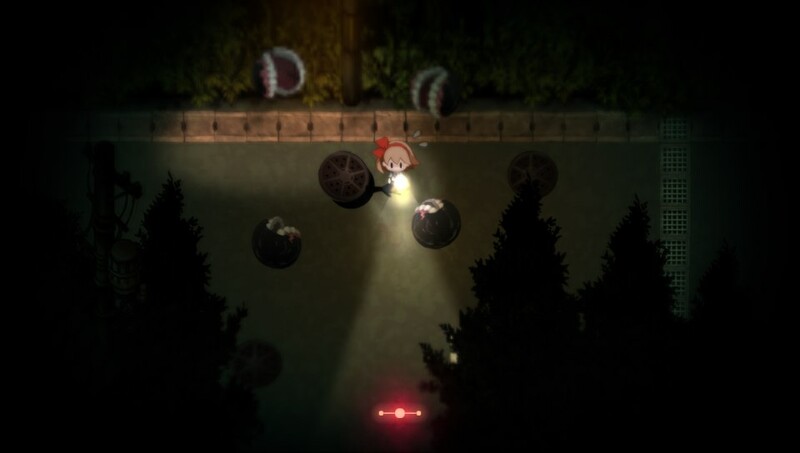 So, simple as it might look, but Yomawari is a remarkably complex game that aims to be something far loftier than most attempts at interactive horror. Its intensity is in its subtleties, and the way it is constructed makes it a masterclass in the aesthetics and theming of one of the most important art traditions to have ever come from Japanese culture.